Starting your own business can be a good way to replace a traditional job or even earn supplemental income. However, the startup costs can be intimidating. Fortunately, it is not necessary to spend thousands of dollars on a new business launch. You can start a business with $500 and nurture it into a part-time or full-time money maker. The secret to starting a business on a tight budget is choosing the right business and buying only what you need at the outset. 1. Choose a business that has low startup costs. 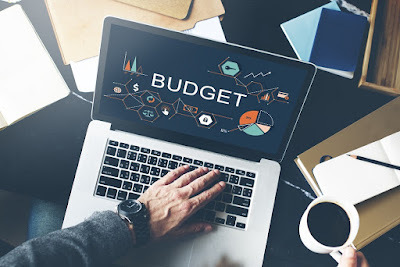 Businesses that require little upfront expense and low overhead are the best choices for starting a business on a budget. Some ideas are house and pet sitting, child care, blogging, car detailing and cleaning services. You can also start a gift basket, party planning, courier or answering service with $500 or less. Develop a business plan that includes details on how you will start your business, what your startup costs will include and how you will find your customers. A solid business plan may help you to stay on track and avoid exceeding your $500 budget. 3. Purchase a business license. Many jurisdictions require them even if you are starting a small home-based business. Getting this out of the way early may make it easier to determine how much you'll have left to spend on inventory, equipment and advertising. Open a business bank account and fund it with your remaining startup investment. A separate business bank account will help you avoid mixing your business money with your personal funds and possibly overspending your budget. In addition, it may make keeping track of your income easier as your business grows. Spend as little as possible on startup equipment and supplies. If you need computer equipment that you don't already own, go to the library or a friend's house to make use of a computer, printer or scanner. Purchase only what you need to service customers initially, and opt for quality used equipment when possible. If you will sell or make products in your business, keep your initial inventory minimal and replenish it as you get paying customers. 6. Keep advertising costs low. Make your own fliers and purchase budget-priced business cards. Word-of-mouth advertising is free, so ask your family members and friends to spread the word about your new business. Barter for things you want for your business but cannot afford right away. If your budget allows, purchase a domain name and cheap hosting, and then create a website. You can use the website to advertise your business and give your startup credibility. If you cannot afford a domain name and hosting, you may create your website through a free hosting service and upgrade it later. Consider using a drop-shipping service if you will sell products that have to be shipped. Drop-shipping services stock and ship products, so all you have to do is make sales and process payments. You can save on inventory this way.